The government will hold a new auction for 2x15MHz of spectrum in the 700MHz band that remained unsold after the 2013 Digital Dividend auction. The government had raised the prospect of selling 2x10MHz of 700MHz spectrum directly to Vodafone Hutchison Australia (VHA). However, today it said that a consultation on the draft ministerial direction by communications minister Senator Mitch Fifield “indicated strong market interest from other industry players”. As with the Digital Dividend process, the new auction will be run by the Australian Communications and Media Authority (ACMA). Vodafone was the only mobile carrier to walk away from the Digital Dividend without additional spectrum, pulling out of the auction. 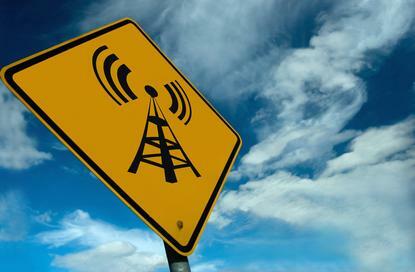 The auction saw Telstra obtain 2x20 MHz of 700MHz spectrum and Optus 2x10MHz. Earlier this year Vodafone approached the government with the proposal to purchase 700MHz spectrum for around $590 million. However during the government’s consultation Optus, Telstra and TPG all indicated opposition to the draft ministerial direction. Optus said the draft direction “has been prepared in haste and appears to rely on factual errors”. It said it backed an ACMA-run process to allocate the unsold spectrum. TPG said that it was a prospective purchaser of the remaining spectrum. Its submission revealed that it had only become aware of the proposal to sell the spectrum to VHA after it had approached the Department of Communications and the Arts earlier this year. TPG had contacted the department to express interest in purchasing the spectrum. TPG is also seeking spectrum in Singapore. Vodafone, Optus, Telstra and TPG, picked up 1800MHz spectrum earlier this year in an ACMA-run auction. All four companies have been approached for comment.